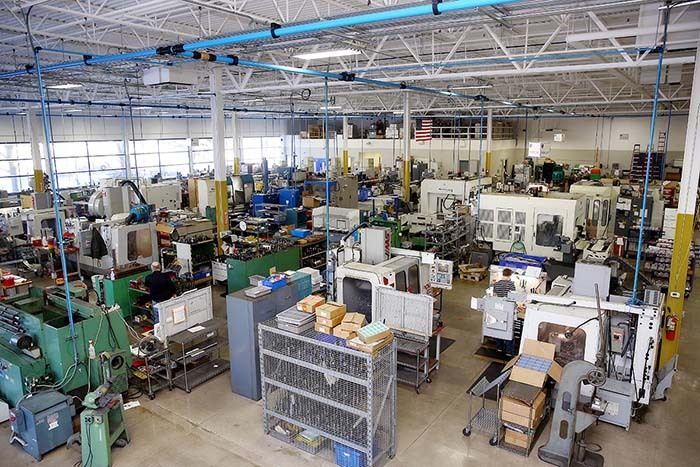 Tour — Precision Aerospace Corp.
We are a high mix, low volume contract manufacturer with the skills and competency to provide close tolerance machining for the demanding aerospace industry. 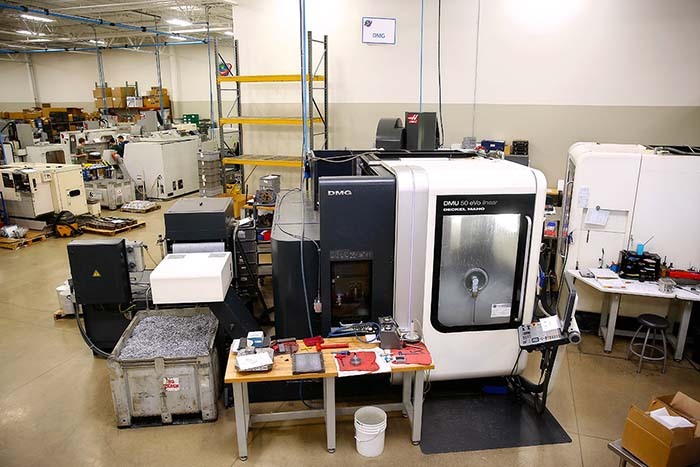 We are committed to be the Aerospace industry’s “Partner of Choice” for precision contract machining. PAC is committed to provide a clean, bright and well organized facility. With standardization of work cells, product flow is increased. Each cell is laid out to provide optimal product flow. One operator is running 2-3 machines at a time. With the use of high speed machining, we are able to quickly remove material on large billet parts to get down to near net shape in roughing operations. Our Swiss Screw department handles high mix, low volume product families. We have 8 production machines with 16mm, 20mm, and 32mm bar capacities. We are consistently turning product down to +/- .0005 dia. All of our programing is done off line using our CAM software so there is minimal down time when setting up a new product. Our Matsuura Cublex-35 machine has 32 pallets, 320 tools and is manned only during the first shift. This machine is capable of lights out machining for all of our high complexity Port Cap family and impellers. Our two DMG DMU-50's offer us flexibility to machine highly complex housings in as few ops as possible. This cell is supported by a roughing mill and a lathe to help with product flow and to balance cycle times. Machining and stamping of high permeable magnetic alloys including high perm 49, silicon core iron, B-FM, Hy Mu 80, and Hy Mu 800 including familiarity with all aspects of LVDT component manufacture. 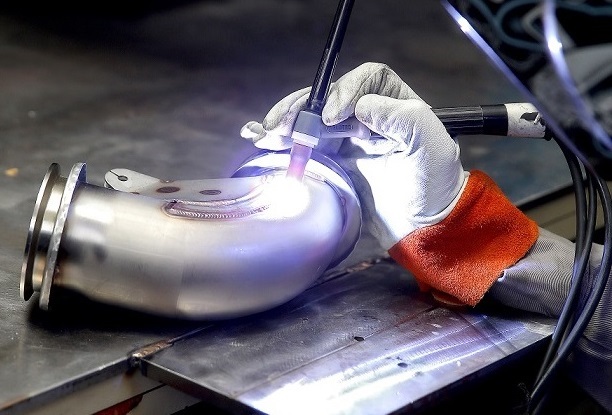 Our NDT lab is Nadcap approved for Mag Partial Inspection (MPI) and liquid Florescent Penetrant Inspection (FPI). These processes take us hours rather than the days that our competitors have to deal with. Having these processes in house, not only saves us time, it greatly reduces the lead time to our customers. We are also Nadcap certified for Chemical Processing (Passivate). We run all our Passivation in house along with taking on outside work. Along with the Nadcap approval, we are Parker Hannifin and Woodward approved as well. We are Nadcap approved in GTAW welding to AWS D17.1 standards. We are experts at aluminum and stainless steel welding. We also build all of our fixtures in house to make sure that each component is held in the correct position during the welding process. Along with the Nadcap approval, we are also are approved by Boeing, Parker Hannifin and Woodward. Our EDM departments is made up of five Charmilles EDM machines. 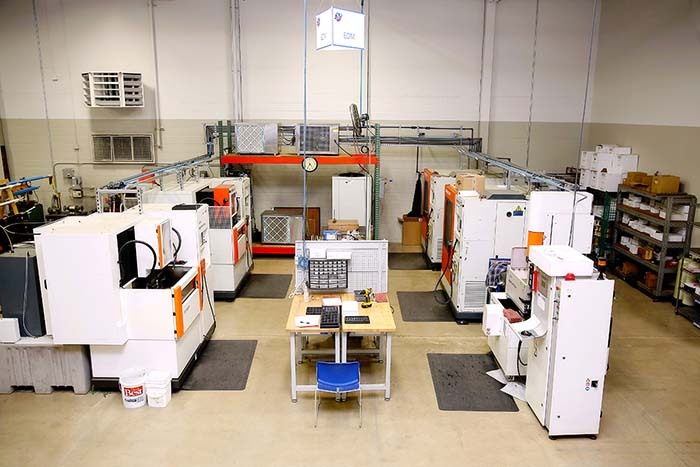 Four of the machines are wire EDM's and one is a sinker that is used as a Fast Hole machine. Our fast hole drilling machine will produce a .001" total tolerance hole in high Ni alloys with no burr. Not only are we Nadcap approved for this process, we hold a Pratt & Whitney approval to PWA 97-2 for Ni & Co based alloys. Check out our Products & Specialities!